Mumbai: The Reserve Bank of India will announce the mid quarterly review of the monetary policy today. Apart from the policy stance, markets will closely track the central bank’s assessment of the Indian and global economy. 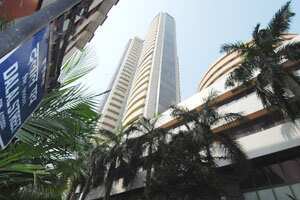 Stock markets in Asia also opened on a positive note. Japan’s Nikkei at 8,419 is up 0.51% on buying in stocks of consumer electronics and export dependent companies. Crude oil, meanwhile, continues to drift lower. Brent crude fell below $104 to $103.79 a barrel on speculation fuel demand might falter. Back home, the advance tax numbers are painting a grim picture. The initial numbers on the advance tax paid by the Indian companies this quarter is showing almost no increase from last year.The advance tax paid by around 65 companies, including Reliance Industriesand State Bank of Indiaremained almost flat in the December quarter when compared to last year. Keep an eye on power utility stocks. A panel appointed by the Prime Minister recommended setting up of a special purpose vehicle that can purchase liabilities of the power distribution companies, reports The Economic Times. Shares of the Network18 Group could be in limelight today (Network18 Media &Investmentsand TV18 Broadcast). Thomson Reuters is in talks to buy minority stake in the group’s news agency, NewsWire18, reports the Business Standard. According to the report, the group is looking at a valuation of ₹ 250 crore for the news agency. In another report, Reliance Capital is in talks with the UTV promoters to increase its stake inUTV News, reports the Business Standard. UTV Newsruns the Bloomberg UTV channel. Reliance Capital currently holds 18% stake. Action might continue in Electrotherm (India) stock. Saint-Gobain SA is buying the iron pipes business of the Electrothermfor Rs950 crore.Electrotherm’s pipe division recorded sales worth Rs549 crore in 2010. JSW Energy is moving to take full control of the South African coal firmSouth African Coal Mining Holding (SACMH). The company acquired a 31.56% in SACMH. With the latest purchase, JSW Energy’s total shareholding in SACMHrises to 93.27%, reports Business Standard. Adani Enterprises is planning to invest more than $4 billion to develop coal mines, reports The Economic Times. Last year, the company acquired Australian coal company Linc Energy for $3 billion. Tata Motors is considering launching its small car, Nano, in the Indonesian market through the contract manufacturing route. The move is expected to help Tata Motorsshare risks and expedite the project. Earlier the company had plans to set up a greenfield unit. Finally, Akshay Kumar topped the advance tax payments list in the Bollywood. The actor paid ₹ 6 crore as advance tax in the third quarter. Read The Times of India report.